The idea of owning commercial real estate can be scary for some people and may not be right for them. However, by addressing a client's fear, an agent might be able to assist them past the stage of hesitancy and into a new commercial space. Of course agents want to close deals but bombarding their clients with information, statistics and tons of follow up can actually scare their clients away. It's a better idea to ease the client into the process of commercial real estate by slowly allowing them to "get their feet wet" so to speak before their introduced to strong marketing tactics. Legitimately so, many people who have dreams of owning commercial real estate are afraid that their dreams will remain just that when they think about the financial part of it. Lending standards are strict and if you add a bad economy or high unemployment rates to that, it can look pretty bleak. Agents can help their clients by doing the work to see how realistic their perceptions of the market are. Agents should help clients obtain their credit report, and ask them about the type, class and size of space they're needing. Agents should help clients discover if they'll be viable loan candidates right from the get go. 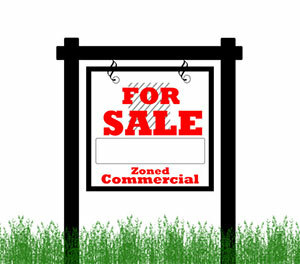 Many people are not just into commercial real estate simply for the fact of maximizing the space. Rather, they want a guaranteed return on their investment in the space. It's impossible to provide that, however, an agent can provide solid market data that gives a realistic idea of a property's viability over time. Every potential landlord's worst nightmare is an empty unit. Agents should explain to clients that landlords have to alter their fees among other things. An agent should explain to the client the intricacies of a tenant's market as opposed to a landlord's market and what to expect in each scenario. Emergency funds should also be discussed. This can be quite complicated even for experienced agents. This is why it's important that agents stay on top of the latest tax codes, credits, acts and programs. Agents should also have good networking and resources in a real estate lawyer, advisor or accountant that can be called easily to answer questions.